There are a few random, unrelated things that seem to have a lot of people excited and I am not too sure why. Of course I first want to say that if something makes you excited, that is awesome, I am in no way trying to convince you otherwise. I am just stating my opinion in order to find out if anyone feels the same way. Discussion is always a good thing. So let’s begin. 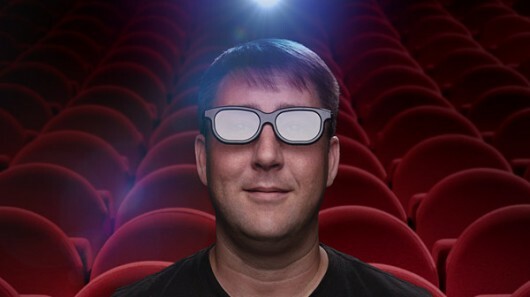 Does anyone else find it slightly irritating that every movie seems to be in 3D now? Don’t get me wrong, I think the technology is awesome, but that doesn’t mean we need to make every single movie like that. I saw Avatar in 3D because of the beautiful graphics and colors, but most of the time I would just rather watch movies in their normal version. I already wear glasses so I don’t exactly want to wear 2 pairs of glasses haha. Sometimes I think it just takes away from the movie. For instance, one of the Resident Evil movies was in 3D and it seemed a little ridiculous, as if they had to exaggerate the actor’s movements in certain scenes in order to make them “pop out” in 3D. I think it works great for cartoon kid’s movies and things that may have extraordinary graphics, but it doesn’t seem to fit for everything. But I guess if they can make money creating 3D versions they will keep doing it. So as long as they don’t stop offering a regular 2D version, I can’t complain. When I was looking for a picture for this post I stumbled upon glasses that turn 3D movies back into 2D. It would probably be a better idea just to go to the 2D showing instead of wearing glasses at the 3D version in order to see it in 2D lol, sounds confusing. I guess they would come in handy if everyone you went to the movie with wanted to see it in 3D except you. Or if they stop making a 2D version. I just thought it was interesting. You can find the article about the glasses here at gizmag.com. So what about you, Do you prefer to watch movies in 3D? 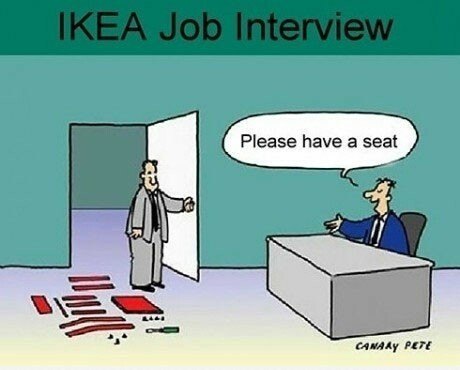 Everyone seems to be obsessed with IKEA and I don’t understand why. Yes, they offer a large array of merchandise at cheap prices, but none of it is anything spectacular. In fact, it is all pretty much junk, which is why it is so cheap. I’m not against IKEA, some items are worth purchasing there, but I wouldn’t say it is the best store ever (as many people make it out to be). For example, I bought a wardrobe closet from IKEA for my room, since my closet is very small and I needed more space for my huge collection of clothes. I knew going into it that IKEA made very cheap furniture, but if I didn’t have thousands of dollars to spend, IKEA was really the only place I could find one. So I took my chances and ended up paying around $500 (which was still pricey for me). Well, you are supposed to assemble it while lying it on its side first and then pick it up to finish building it. Well, since it is so crappy, the thing starts cracking and breaking in the process of picking it up. In order to make it stable we had to drill brackets and more screws all over it. It would have just fallen apart completely if we were to build it as the instructions said. It has worked just fine now that it is put together, but I doubt it would be able to be moved from here. Besides it being cheap, it makes me claustrophobic! Once you are in the store it is like being in a huge maze. Even though there are shortcuts throughout the store, I feel like I am trapped since there are no windows. Plus, it is always so crowded, which doesn’t help. So why do people find it so amazing? Please fill me in because I just don’t get it. I’m sure I am not the only one so please tell me you relate. 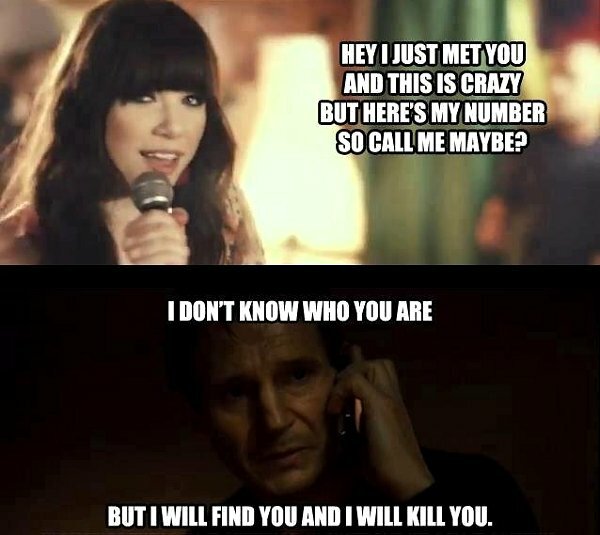 That call me maybe song gets on my nerves! I have managed to get it stuck in my head a few too many times and just don’t understand the fascination with the song. It has become so popular lately and there are videos all over YouTube and on television using that song. I would put a link to it for reference, but if you haven’t already heard it I’ll spare you. Although, I doubt you have been able to escape that song, but if you have, consider yourself lucky. What do you think about the song and the hype surrounding it?